Meddling with time is dangerous, and anyone that does must be prepared to pay the price. Sunter Horol, the inventor of the Time Warp Dagger nearly paid the ultimate price while demonstrating his masterpiece at the Forum du Scholastic, a famous gathering of arcane scholars. After many successful demonstrations, Sunter suddenly vanished. Nineteen years later he reappeared at the conference during the closing remark in the same place he had been standing. While the experience didn’t kill him, the mental strain broke his mind. 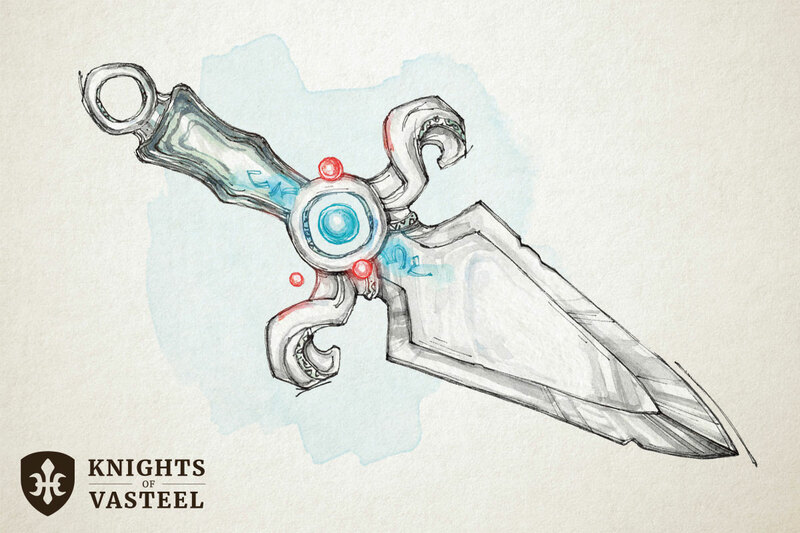 While holding the Time Warp Dagger, time softens giving you a sharper perspective on your surroundings. As long as you are holding the dagger in one hand, you gain +1 to all your attack and damage rolls even if they are not made with this weapon. The Time Warp Dagger has 3 charges. As a bonus action, you can press and hold the center gem for up to 3 seconds. For each second you hold down the gem, you expend one charge. Each charge progressively causes time to slow, then freeze, then move backward. The Time Warp Dagger regains 1d4 charges every day at dawn. If you expend all of the daggers charges, finish your action then roll 1d20. On a roll of 1, the dagger is ripped from your hand and lost into a fold in time. The shift back to the present time is so traumatic that you take 6d6 psychic damage. You have advantage on attack and save rolls until the start of your next turn. At the end of your turn, you can take an extra turn. You have advantage during the extra turn. You may reroll an attack roll, an ability check, or a saving throw. You have advantage on the second roll. You can use this ability after the outcome of the first roll has been determined. You cannot reverse time more than 6 seconds. Warning: If you roll a critical fail while time is slowed, frozen or reversed; you become lost in the time warp. You take 6d6 psychic damage, and you reappear in the same spot 1d20 year in the future. The dagger is ripped from your hand and is lost.